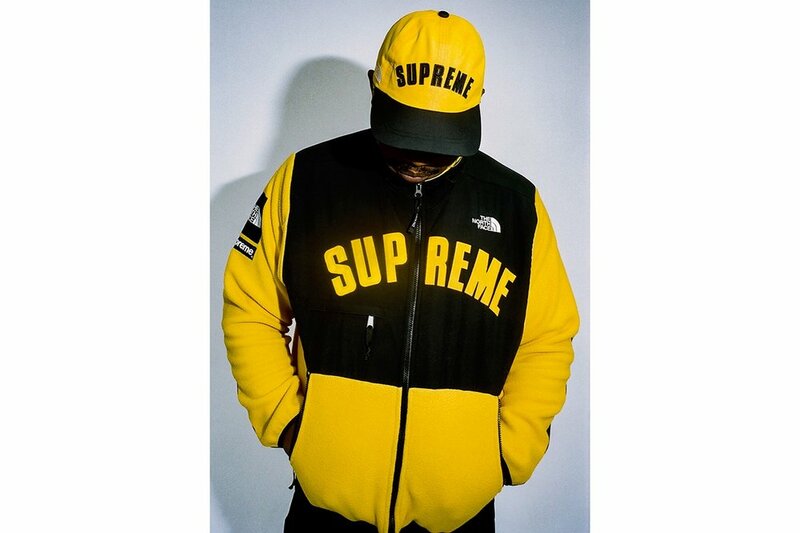 As we’ve come to know Supreme collaborations have been some of the hottest releases to hit the streets and they’re back with another collaboration with The North Face for their Spring/Summer 2019 collection. There’s a heavy focus on outerwear and it’s vibrant. The collection focuses on give colors; yellow, red, teal, purple and black and we see this throughout the collection in its entirety. We see both a TNF Mountain Parka and Denali Fleece Jacket with bold supreme branding across the front with the classic The North Face patch as well. Along with the array of jackets the collection also includes a Mountain Pant which is made with waterproof GORE-TEXT material that accompanies the parka. We also see a few accessories such as the duffle bag, six-panel hat, fleece blanket and more. If you’re feeling the new collaboration you can shop it now online and Supreme locations.